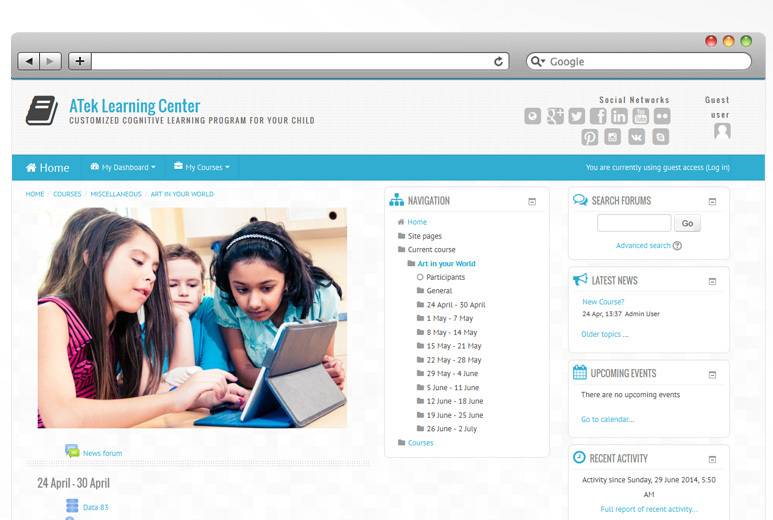 A Learning Management System (LMS) website for an institute created to be an e-learning platform. The online school allows students to learn from any place, despite geographical barriers. A client sought the assistance of AllianceTek to leverage online technologies to build an online school. Those intending to enroll can register on the website. Students can visit their personalized dashboard providing profile information, a calendar of events, badges, private files and personal messages. An easy to use interface for students as well as teachers to manage their classes, courses and messages. A provision to arrange a private class where only authorized students & teachers can attend the class. This also allows a higher level security and privacy. Group creation facility where they can conduct self assessment through workshops and surveys within the group. 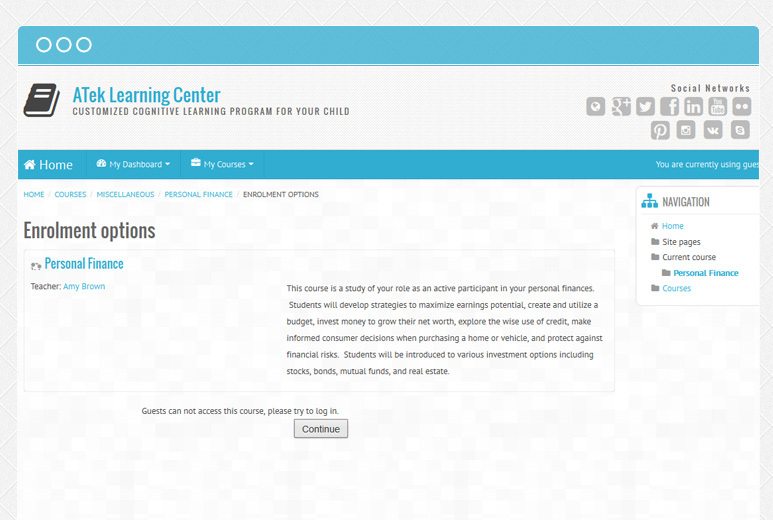 Advanced search facility to search videos, audios of courses. Discussion forums and online news & announcements can help students to stay connected with the campus and stay updated with the latest advancements. Calendar to mark or keep a track of milestones, course completions, exams, meetings and assignment deadlines. As a result of working with AllianceTek, the client can now offer various courses online without any geographical barriers. Students, who are busy working, can find time available for online courses that they would otherwise not be able to attend. Once enrolled, students can attend classes online from any Internet-enabled device. 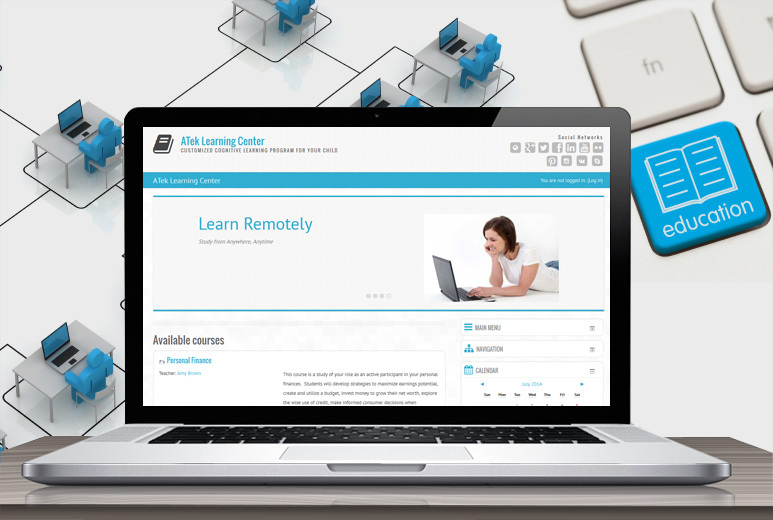 The e-learning platform is user-friendly with a simple navigation system to help users find any information they need within a few clicks. Teachers and students can stay connected and exchange information easily and at any time. Being an online solution, students from various locations can take advantage of LMS. Virtual groups help students to work in team and exchange knowledge through sharing classes and participating in activities. Multilingual capabilities of the platform helps user to choose their language in order to view courses in their own language. The system has a mobile-friendly design which helps the students/teachers to access the system on the go. They have the liberty to hop on to the system even when they are travelling, having a free time at workplace or are sipping a coffee in a café. Cloud storage capabilities increase portability of the system as well as enhance file management and access. Students/teachers can store as well as access study material at anytime. This system is made flexible to extend it to parents so that they can be aware of their child’s progress.